It may not be obvious to everyone, but there is no snow. The weather in Sweden has been uncommonly mild during December, even past New Year’s Eve. But is this the calm before the storm? The 6th of December 2013 several parts of Skåne where flooded due to high seawater levels. Krisinformation.se, the webpage providing important information during a crisis, stated that municipalities warned house owners about water in cellars. Several media, among those SVT, reported of water filling the streets of Malmö, Helsingborg and other cities. 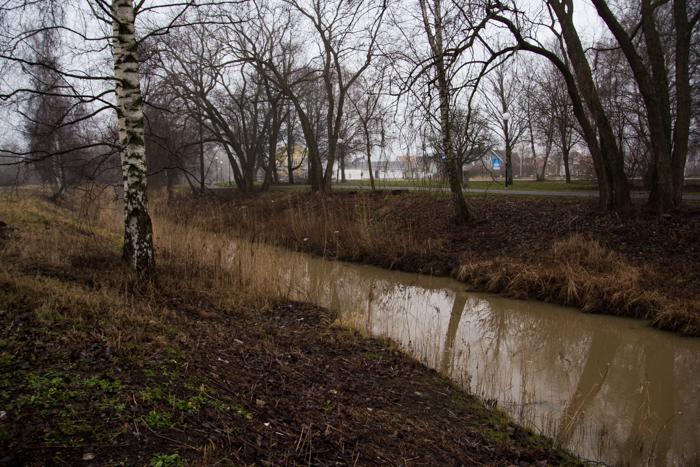 Hallandsposten reported the same day that due to the river Nissan and its high water levels the municipality of Halmstad warned their inhabitants of the risk of walking and biking paths being covered with water and that house owners living nearby Nissan, should keep an eye on their properties. At the same time, the storm Sven entered. Since then the mild December climate of 2013 continues and the weather seems uncommonly calm this time of year. But the risk of weather abnormalities such as storms and floodings lingers around the corner, evident to anyone growing up in Sweden who remembers winters with snow instead of storms and floodings. Climate change creates the risk that anything can happen with the weather. Storms and flooding appear, and they will increase in numbers in the future. But is this mild December weather a sign of the climate change? How is the county of Örebro affected? The county of Örebro is divided into 12 municipalities and covers an area of 8546 km². Within and around the county there is a lot of water. An important area for the society is logistics. 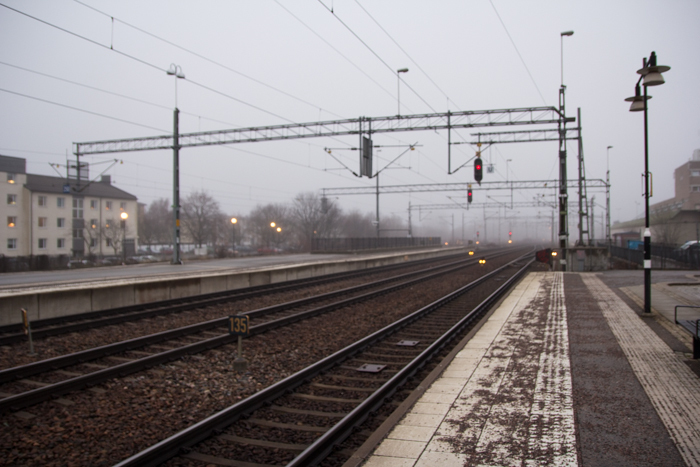 The county has the biggest railway yard in Scandinavia, located in Hallsberg, where 350 trains pass everyday. Furthermore there is the airport in Örebro. The different weather can have severe effects on the communication system of Örebro in the future. Storms break tree branches, which end up on railways or breaking communication lines. It can have a national effect if something happens with the railway yard in Hallsberg, like it did in February 2010, when big parts of the yard had to be closed due to excessive amounts of snow resulting in the Swedish Armed Forces stepping in. Flooding, like the one of E 18 outside Örebro Airport in the summer of 2010, causes trouble for traffic and can lead to landslides as happened before in the Arbogaå. Water from Örebro goes to all four big lakes: Vänern, Vättern, Hjälmaren and Mälaren. The big flooding areas are located around Arbogaån (Lindesberg), around lake Väringen and Fellingsbro, in Täljeån around Kvismaredalen and some areas in Svartån (which goes through Örebro city) in between the lake Teen and Tysslingen. The picture show the big lake next to the city center of Lindesberg. Maybe the biggest problem caused by climate for Örebro would be flooding, because the city is surrounded by water. The reason for flooding apart from the obvious sea level rising, is as Josefsson acknowledges, more excessive downpour. “Now we know that there will be a little more precipitation in the future due to climate change.” That means more rain will fall: heavier in short time, and more frequently over a longer time. The Swedish Civil Contingencies Agency has acknowledged the risk of flooding and identified 18 areas in Sweden where to work with flood regulations. Amongst those are the cities Lindesberg and Örebro. Maps with the flooding risk have been produced. They will later be used as a basis for risk management plans that the County Administrative Boards are to produce connected to the EU flood directive. The new maps where released to the Swedish Civil Contingencies Agency from the Boards the 20th of December 2013. Studying the maps you realise that most of the city centre of Örebro is in risk of future flooding, as well as the town of Lindesberg. Within the risk areas there are major important services to the community and of national interest, such as the railways. Furthermore there are some industries which could have hazardous impacts on the environment in case of flooding. Staring at all of that water, one develops an awareness of what the future entails. During this Swedish winter without snow, it is not possible to ignore that anymore. 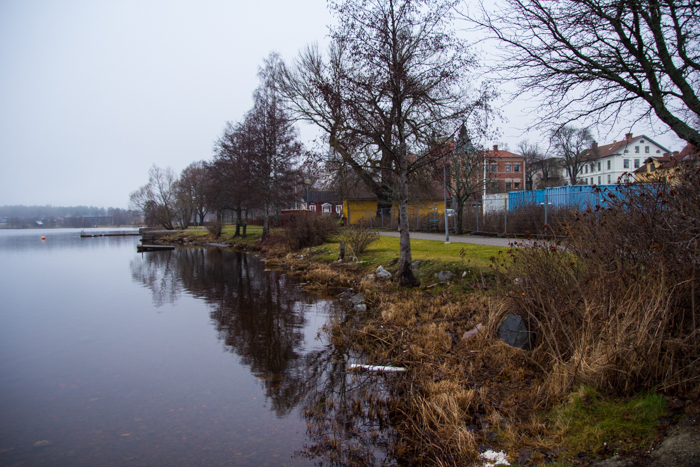 According to the new scenarios there is a risk that the railways in Örebro will be flooded, left picture, and also the industrial area of Holmen, right picture. On Krisinformation.se- you get updated information about what to do during a crisis and here you can also read about what your individual responsibility is during a crisis, as a flooding – such as the article “Ditt eget ansvar vid översvämning”. Accompanying video showing the flooding areas of Örebro County. Publicerades ursprungligen på Type Magazine Örebro Universitet 140117.